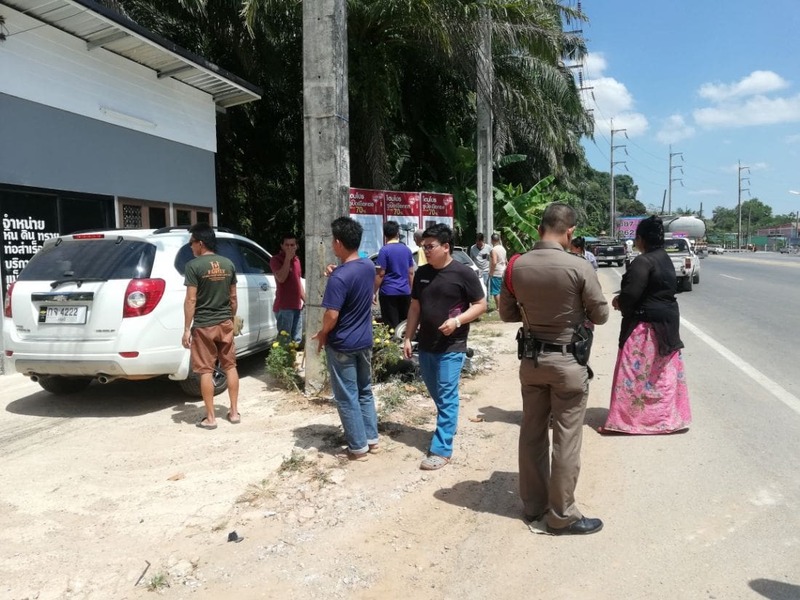 A male motorist has sustained serious injuries after a car collided with his motorbike in Krabi. 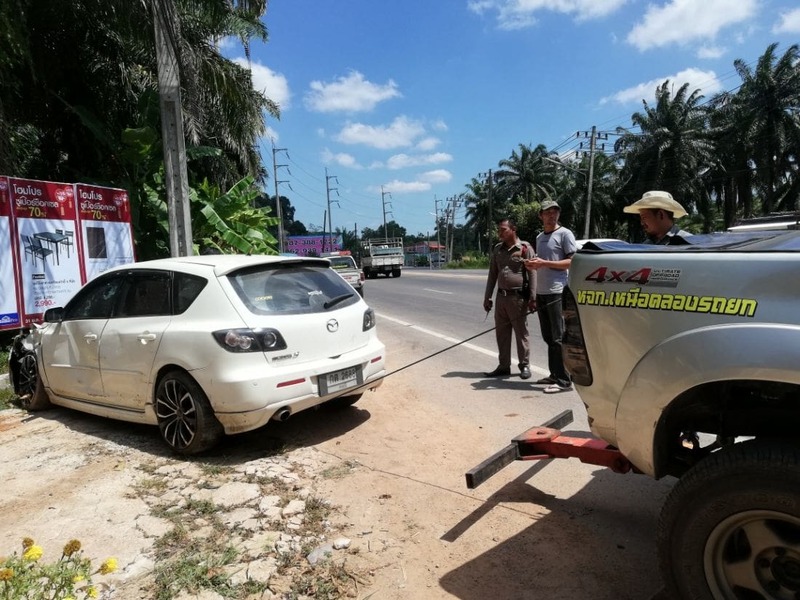 The Krabi City Police were notified of an accident on Krabi – Ao Nang Road in Kabi City yesterday afternoon. Police and rescue workers arrived to find a damaged white Mazda sedan on the road. Nearby found a damaged motorbike. On the side of the road they found another damaged white sedan. 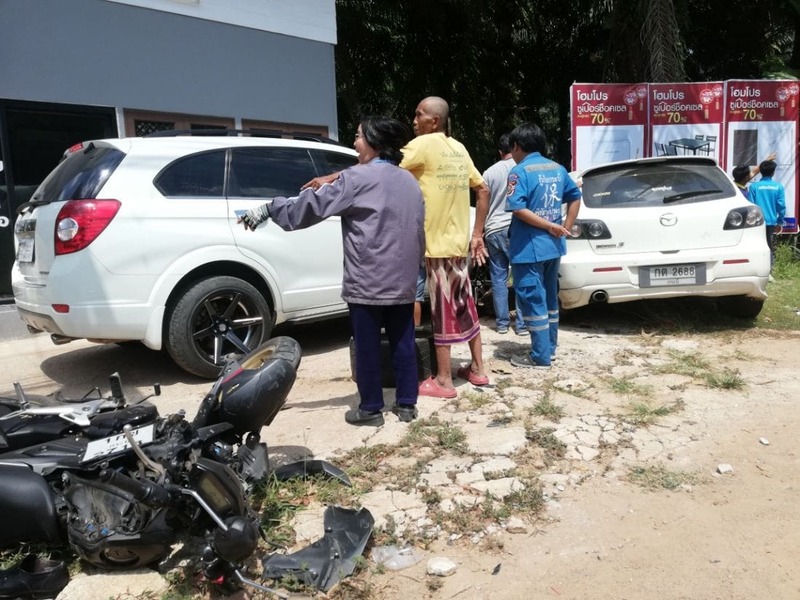 The sedan crossed to another lane and collided with the moving motorbike and a parked sedan on the side of the road. The motorbike driver flew five metres in the air before hitting the ground.